It's the belt that defines pro wrestling. Its lineage has been traced back from the very first World Championship. 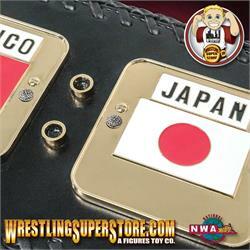 It has been held by wrestling's biggest stars, and has been defended throughout the world. Now, Figures Toy Company is pleased to announce an officially licensed all new Adult Size Ultra Deluxe Replica Belt of the NWA World Heavyweight Championship! 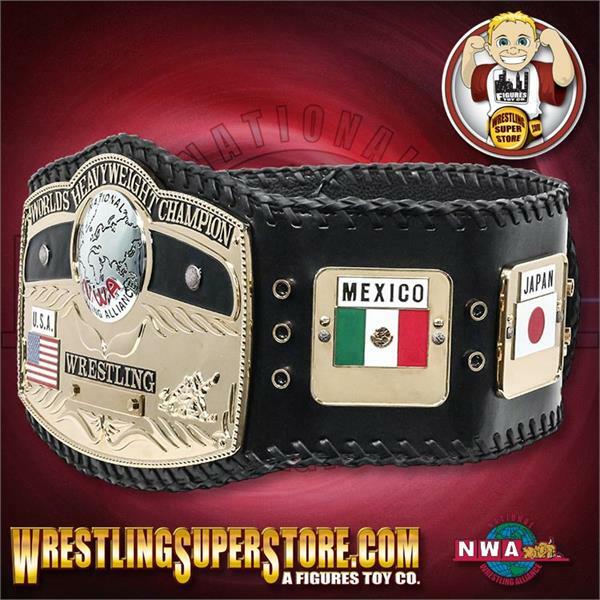 Based on the 80's version of the championship, this is a next generation style belt with 3D plates that vary from 5-6mm thick, making it the thickest NWA replica produced! The simulated leather strap, which features braiding along the length of it, measures 56.25 inches long and can fit up to a 50 inch waist. 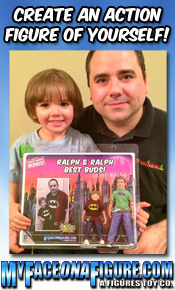 The center plate measures 9 inches tall and the belt weighs in at 5.45 pounds. The name plate on the center medallion is removable (unscrews from the front) and can be engraved with the name of your choosing. Get yourself a piece of wrestling history. 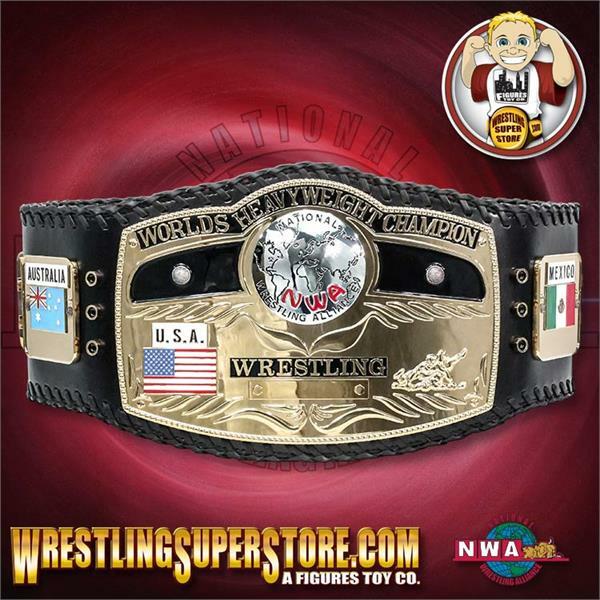 Order your NWA World Heavyweight Championship Ultra Deluxe Adult Size Replica Belt today! 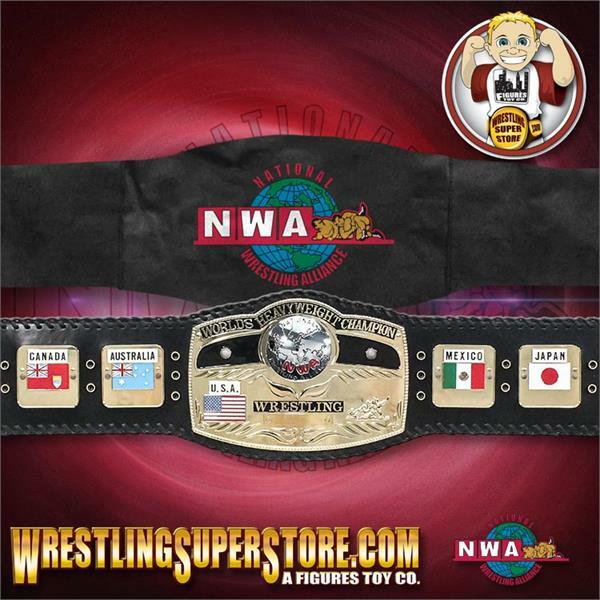 Comes with a cloth carrying case with the classic NWA logo on it.